After two days of postponements thanks to snow and ice, the District 1 girls basketball playoffs will finally kick off Wednesday night. Just not the way they were originally planned. Having lost two days, and wanting to hold to the tournament’s original end date — Saturday, Feb. 9 — athletic directors from the North Sound Conference and Northwest Conference have come up with a compromise. Instead of a double-elimination tournament in which Coupeville High School would have started on the road, we’re now looking at a modified single-elimination tourney in which the Wolves get to unexpectedly host a playoff game. CHS, the #3 seed from the NSC, was originally set to play Lynden Christian, the #2 team from the NWC, on the road. After that, teh Wolves would have played either King’s or Sultan, also on the road. The new format takes the top four teams in the eight-team tourney (King’s, Meridian, Lynden Christian, and Cedar Park Christian) and pits them against each other in the first round. Win or lose, those teams advance to play a second game. 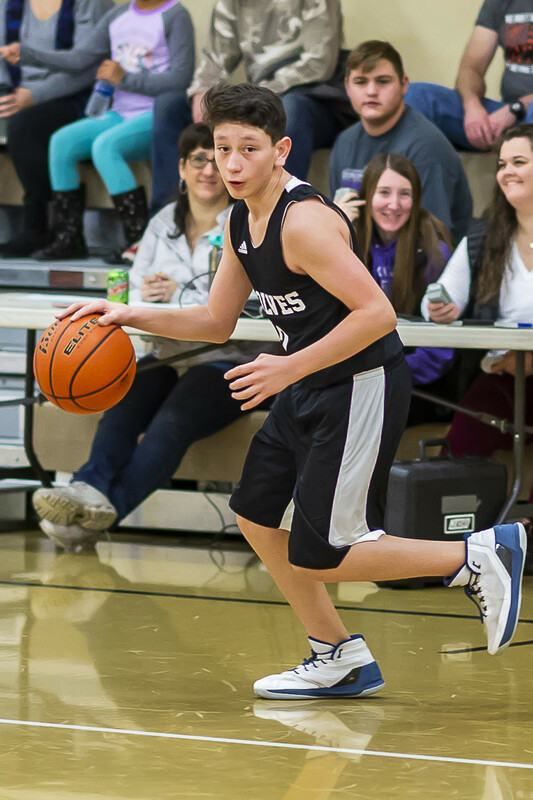 The other four teams (Coupeville, Nooksack Valley, Granite Falls, and Sultan) are now paired off in loser-out games. The Wolves (8-9 on the season) draw Sultan (7-13), the #5 NSC seed, and a team they have beaten 44-34 and 29-27 this season. As the higher seed, Coupeville hosts the game Wednesday, Feb. 6, with tip-off set for 7 PM. 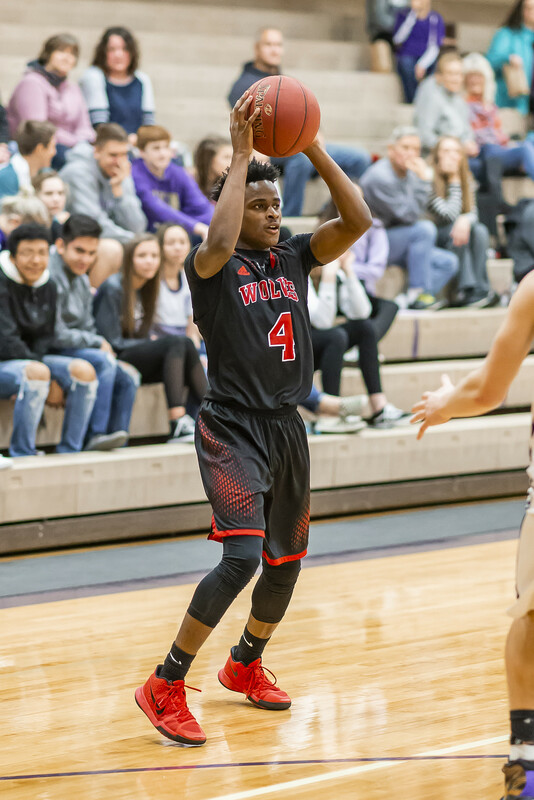 If the Wolves win Wednesday, they advance to play a road game against the loser of King’s and Lynden Christian Friday, Feb. 8 in a second-loser out game. Win there as well, and Coupeville clinches a trip to bi-districts. First, though, it would play one more game, Saturday, Feb. 9, to decide the #3 and #4 seeds out of District 1. 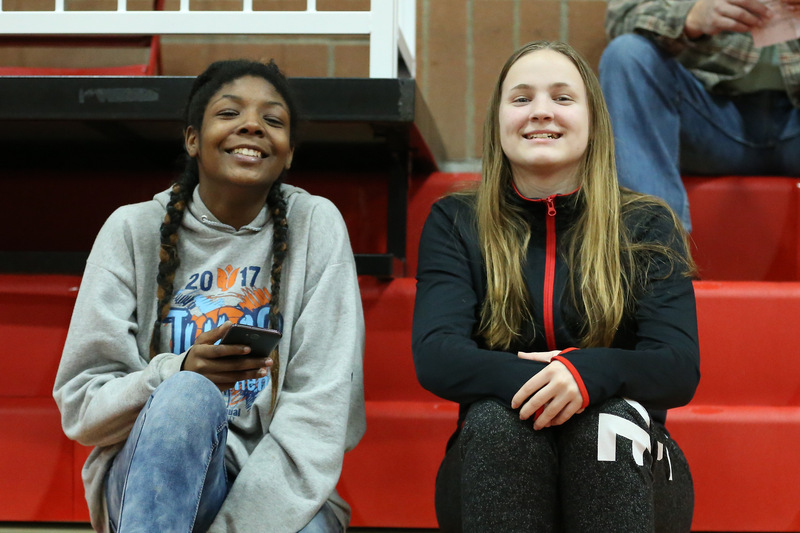 PS — The Coupeville Middle School girls basketball opener, which had been moved from Tuesday to Wednesday, has been cancelled, and will likely be rescheduled at a later date. It didn’t go the way they might have hoped. Run ragged Tuesday by a King’s team with state title aspirations, the Coupeville High School varsity girls basketball team got crunched on Senior Night. 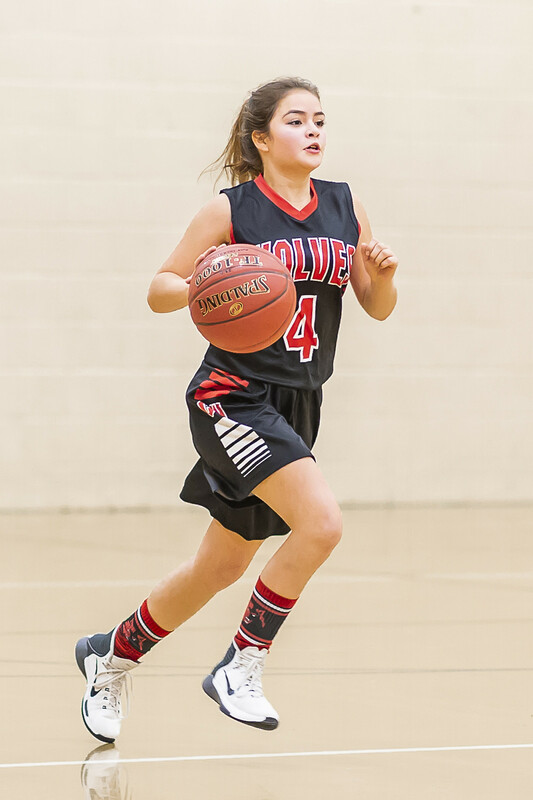 Even on an evening when their six-foot freshman prodigy wasn’t at the top of her game, the visiting Knights had an answer for everything the Wolves tried, exiting the gym with a 59-11 win. 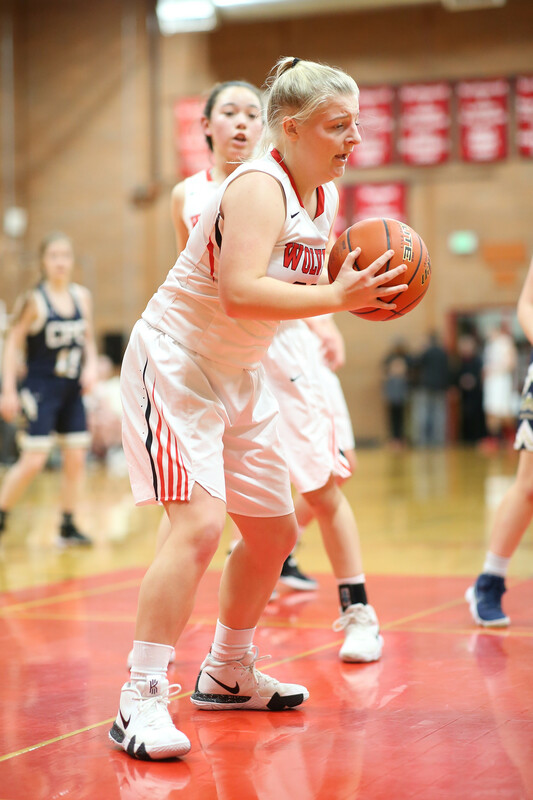 The loss, coming after Coupeville put up its fewest points in any game this season, drops CHS to 5-4 in North Sound Conference play, 7-9 overall. The Wolves, who are guaranteed to be the #3 seed from their league when the double-elimination district playoffs start Feb. 4, close the regular season Friday at Granite Falls. Things got off to a nice start Tuesday when Coupeville honored seniors Nicole Laxton, Lindsey Roberts, and Ema Smith before tip-off. After the ball was tossed up in the air, however, things got much tougher. King’s features frosh phenom Jada Wynn, who played in the junior NBA world tournament before attending a single day of high school. On this night, though, she took a back seat, picking up four fouls, including an offensive charge after Wolf freshman Ja’Kenya Hoskins stood her ground, and scored “just” 10 points. The Knights, a deep, talented, polished team, merely shrugged, with sophomores Claire Gallagher and Mia Flor tossing in 17 and 12 respectively. Coupeville, as a team, didn’t crack double digits until the next-to-last play of the third quarter, then went scoreless in the fourth. Down 8-0 in the early going, but dodging bullets as King’s had some shooting issues of its own, at least for a bit, the Wolves finally got on the scoreboard six minutes into the game. 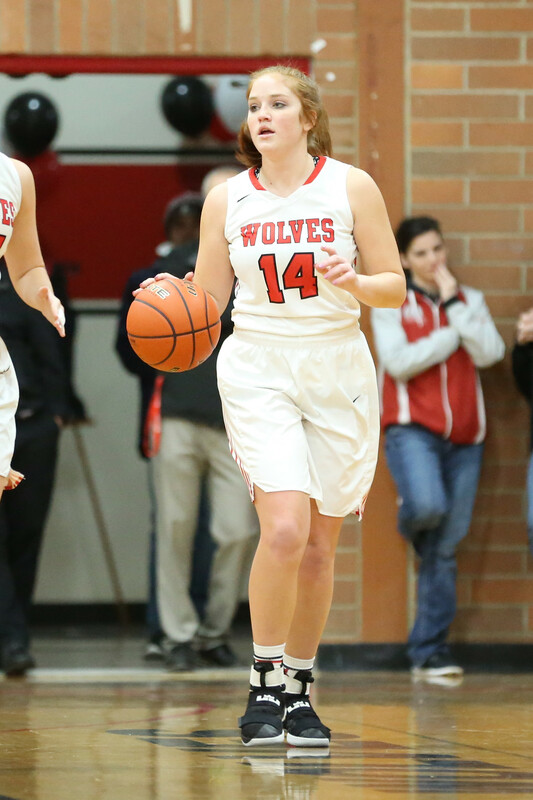 The first bucket came courtesy Ema Smith, and it gave her 201 points for her prep career, making her just the 55th Wolf girl to top that mark since the modern program began in 1974. Unfortunately for CHS, that was its only basket of any kind for quite a bit. By the time Hannah Davidson swooped in, snatched a rebound and went back up strong for a second-chance bucket, the game was 21-2 in favor of King’s and slipping away quickly. To make sure to drive the point home, the Knights followed up Davidson’s put-back by nailing back-to-back three-balls, two of the eight treys they hit on the evening. A 27-7 halftime deficit ballooned badly after the halftime break, as King’s, continuing to play with its customary take-no-prisoners style, went on a 25-4 romp in the third. Two buckets from Roberts, one off a nice dish by Scout Smith, gave CHS fans some brief respite, but, ultimately, it was a game the Wolves will do well to quickly scrub from their brain pans. But, just because it was a one-sided affair doesn’t mean there weren’t a few bright spots. Coupeville coach David King praised the play of Roberts, who had to fight through a constant wave of defenders, as well as Davidson’s work on the boards, and defensive dynamo Tia Wurzrainer’s scrappiness while still contesting passes in the late going. Roberts finished with four points Tuesday, lifting her to 422 for her career. She needs just two more buckets to pass Cassidi Rosenkrance (423), Mika Hosek (424), and Sarah Powell (425) and become the #20 scorer in program history. Chelsea Prescott added three free-throws in support of Roberts, with Davidson and Ema Smith providing the night’s other buckets. Roberts had a team-best eight rebounds, Avalon Renninger yanked down five boards and doled out three assists, with Scout Smith collecting five boards, two blocks and a steal. When things were at their bleakest, they made their own sunshine. It would have been so easy to lose Friday, but the Coupeville High School varsity girls basketball team flat-out refused. 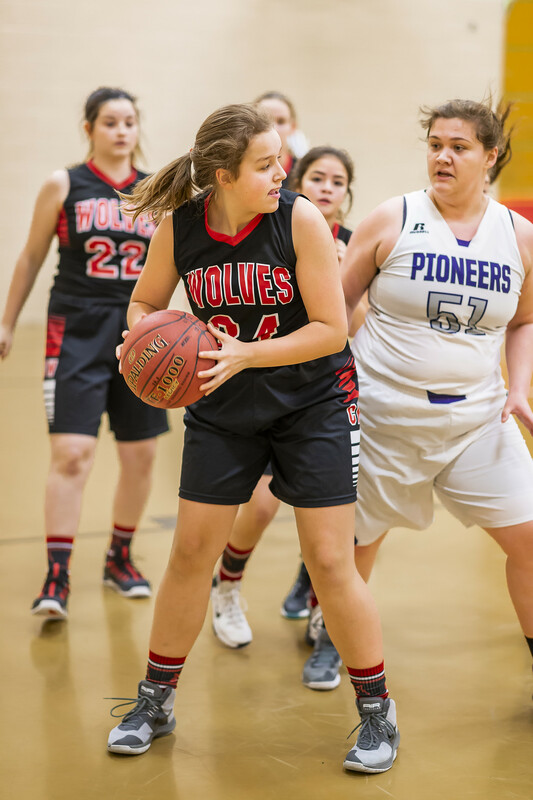 Rallying against daunting odds, the Wolves pulled out the kind of win which can define a season, knocking off host Sultan 29-27 after Scout Smith drained a pair of pressure-packed free throws with 10 ticks left on the clock. As a final Turks shot hit the back of the rim and bounced away, a weary but triumphant CHS squad rejoiced in the moment. Assessing the future will come later. For the moment, the Wolves snap a three-game losing skid, while rising to 3-2 in North Sound Conference play, 5-7 overall. They are in third-place, a game back of Cedar Park Christian (4-1), two off of King’s (5-0). Granite Falls (2-3), Sultan (1-4) and South Whidbey (0-5) are in Coupeville’s rear-view mirror. After four straight games on the road, CHS gets to play at home for the first time in a month, kicking off a four-game home-stand Jan. 15 with a game against Granite Falls. As they head back to Whidbey, there is one potentially huge dark cloud hanging over the Wolves, however. That’s the status of their leading scorer and rebounder, senior captain Lindsey Roberts. The four-year varsity veteran, #23 all-time on the girls basketball career scoring chart, left Friday’s game early after suffering a dislocated and broken left ring finger. 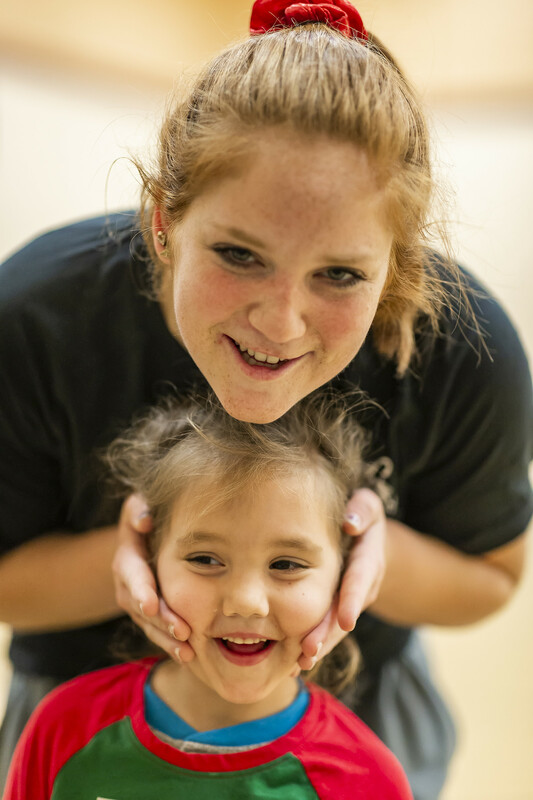 The Wolves were already down another starter before they left Whidbey, with junior post player Hannah Davidson on crutches after spraining her ankle in practice earlier in the week. Minus the duo, Coupeville’s remaining players stepped up big-time. Unable to score for almost the entire first quarter, trailing by eight late in the third, the Wolves rallied to take their first lead of the night midway through the fourth quarter. The 23-21 advantage came courtesy two free throws from Scout Smith, capping a 10-0 Wolf surge on which CHS scored mainly from the charity stripe. Chelsea Prescott rippled the nets for four straight free throws to end the third, with the latter two set up by a huge offensive rebound from freshman Ja’Kenya Hoskins. 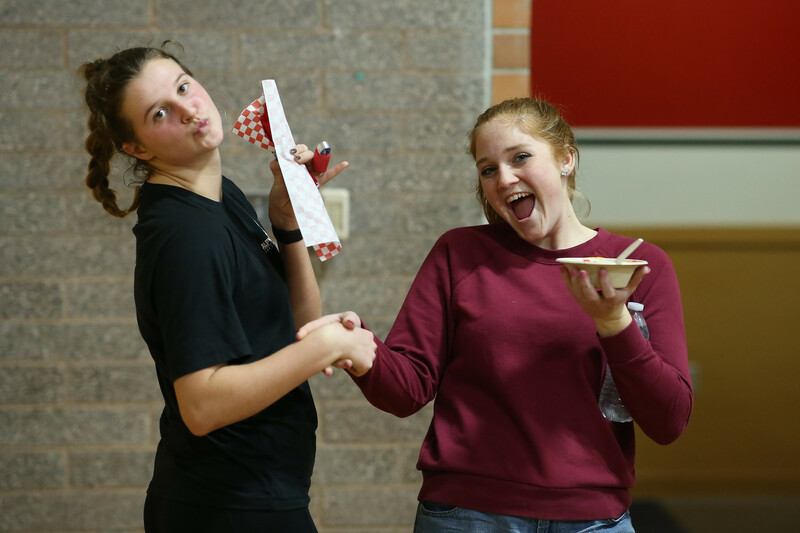 Fellow frosh Izzy Wells opened the fourth with her own pair of freebies, then senior captain Ema Smith drained a jumper before Scout Smith’s magic. That set up a wild final couple of minutes, as the teams went through four ties down the stretch, though Coupeville never surrendered the lead after gaining it. With Roberts and her 408 career points missing, Ema Smith played out of her mind, scoring a game-high 14, including six of those points with the game on the line. Following up her early fourth-quarter jumper, she took control of the paint, scoring twice on power moves set up by nice feeds from her teammates. First Prescott fired a laser shot through a maze of defenders, dropping the ball right on Ema’s waiting fingertips for a shot that went up, bounced around the rim 12 times, then softly flopped through the net. 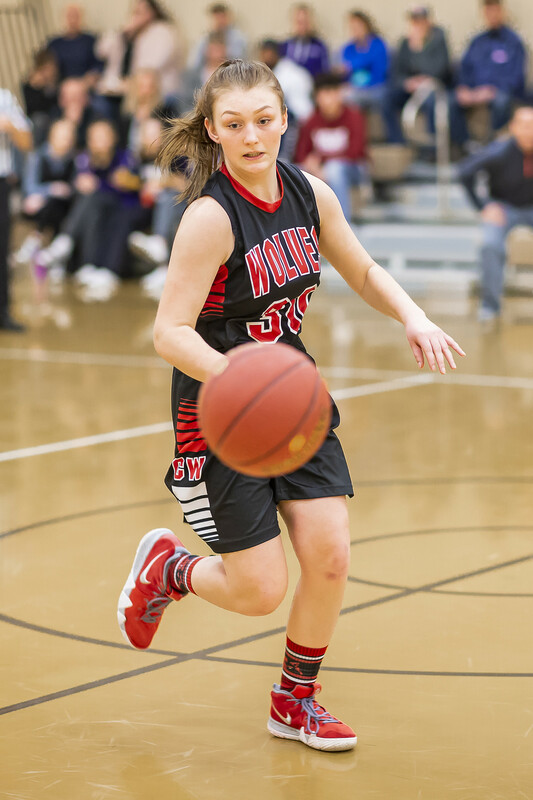 Next time down the court it was Avalon Renninger running the point with precision, flicking a set-up pass to the hottest Wolf on the floor, who promptly banked the ball right back through the hoop. Ema Smith’s final basket staked the Wolves to a 27-25 lead with a hair over a minute to play, and then things got a bit out of control. As in neither team could hold on to the ball, exchanging turnovers on a series of wild passes which skipped every which way, before heading out of bounds and into the stands, which sit really close to the floor in Sultan. The Turks finally broke through with 17 second to go, scoring their first field goal in a 10-minute span, knocking down a running layup to knot the game and give their fans a brief glimmer of hope. Except Scout Smith is the Crusher of Spirits, and she fulfilled her role of becoming a full-fledged hardwood serial killer, gutting an entire town with two jabs. Knocked to the floor and fouled by a hyped-up Turk, Scooter stared down an entire gym, sliding both of her free throws through the net, barely rippling the twine while never betraying a single emotion. Something died, hard, in Sultan at that moment, both in their girls basketball team and the town itself. And Scout Smith liked it. Sultan hurried down court and did get off a shot right before the buzzer, but, with the Wolf defense up in the shooter’s face, the desperation heave never had a chance. The win capped a game that could have gone really badly in the early going. Having lost Roberts, the Wolves failed to score until the final seconds of the first quarter. Thanks to a gritty defense, the deficit was just 5-0 when Ema Smith pulled in a pass from Scout Smith and buried a three-ball from the top of the arc. 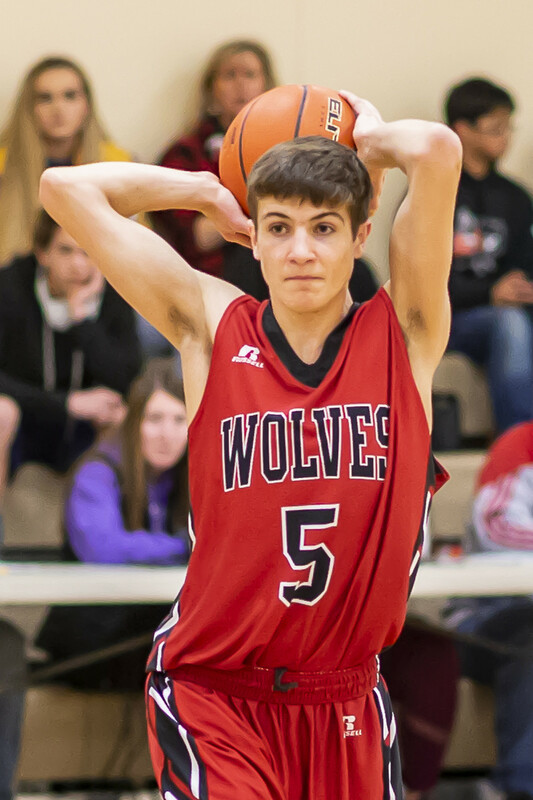 Another trey from the Wolf senior and a handful of free throws kept Coupeville close, but it still trailed 14-10 at the half and 21-13 late in the third. Coupeville had just one regular field goal through three quarters – a jumper from Renninger set up by a nice pass from Nicole Laxton – using a mix of free throws and three-balls to stay close. However they scored, the Wolves never lost heart, something huge in King’s book. Prescott (6), Scout Smith (5), Renninger (2) and Wells (2) combined for 15 points, while Ema Smith’s 14 was a season-high. Photos? The gift that keeps giving!! Cody Roberts prepares to launch. Abby Mulholland keeps the ball safely away from any pesky defenders. Tony Garcia wheels and deals. Kiara Contreras gets out of town, quickly. Wolf super fan Lisa Toomey can’t resist a photo op. Jean Lund-Olsen looks for an open man. Ema Smith passes on the love to one of her biggest fans. If you squint, John Fisken almost looks like Santa. Almost. Hey, at least he’s got the beard and he brings presents. So there’s that. 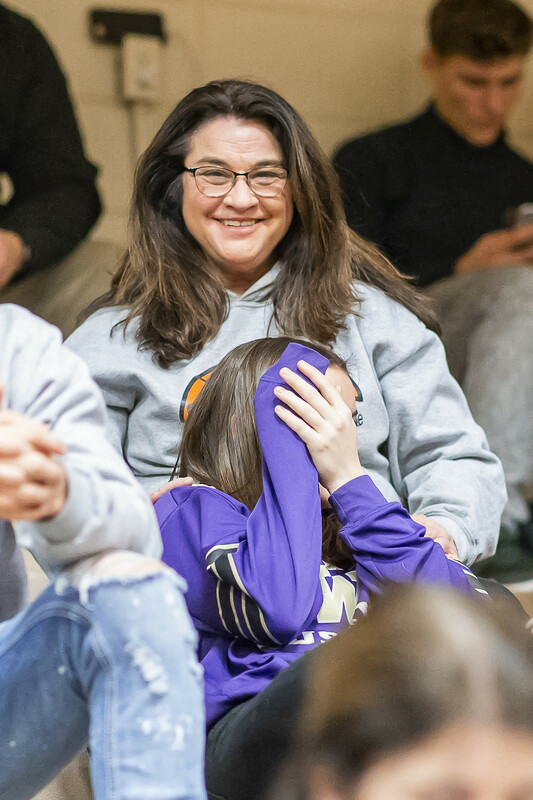 Whidbey Island’s most-active paparazzi surprised everyone by showing up down in the wilds of Nooksack Valley Saturday, as the Coupeville basketball teams played road games far from home. The pics above are but a small taste of what he shot, however. And remember, a percentage of all purchases goes to fund scholarships for CHS senior student/athletes. So, you, yes you, can help keep the circle of life going strong.